Its raining now and most of our families are held up inside our homes, and there is a strong demand for snacks from family members. 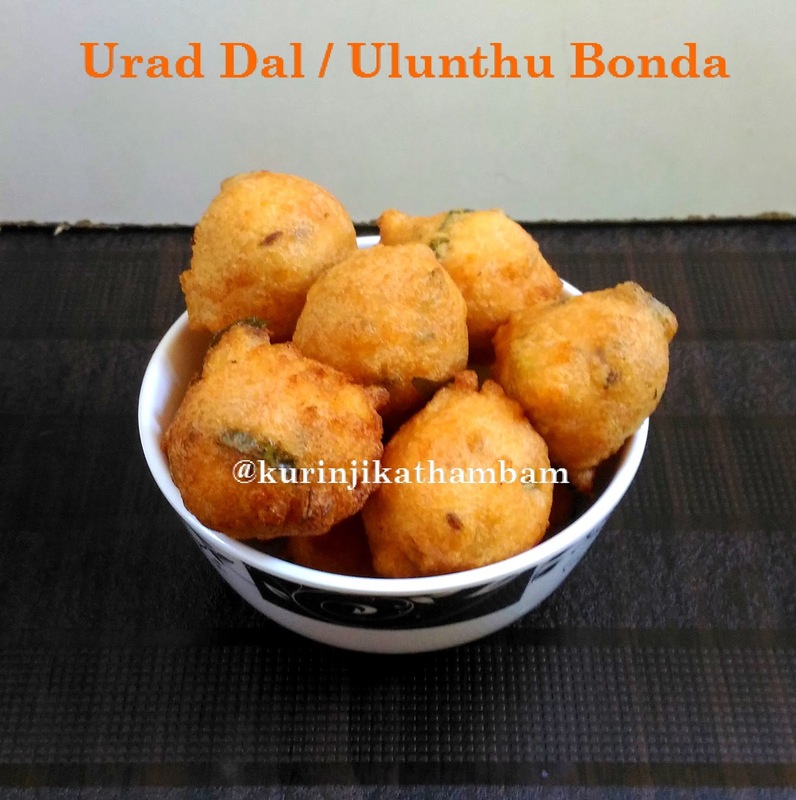 Urad Dal / Ulunthu bonda is a healthy snack and subtly different from our usual urad dal / ulunthu vada. 1. Wash and soak the urad dal for 45 mins to 1 hr. 2. Drain the water completely. Grain them into a thick fine paste with very very little water. You should not add more water, so that it will absorb more oil. 3. Transfer the ground urad dal batter into a wide bowl. 4. Add chopped green chillies, cumin seeds, pepper corns, curry leaves, grated ginger and salt with the batter. 5. Mix them well with your hand. Urad Dal Bonda batter is ready. 7. Fry them well on all sides till they become golden color and crisp. Keep the flame at medium. 8. Take it out from the oil and drain the oil completely. Keep it on the tissue paper to absorb the excess oil. 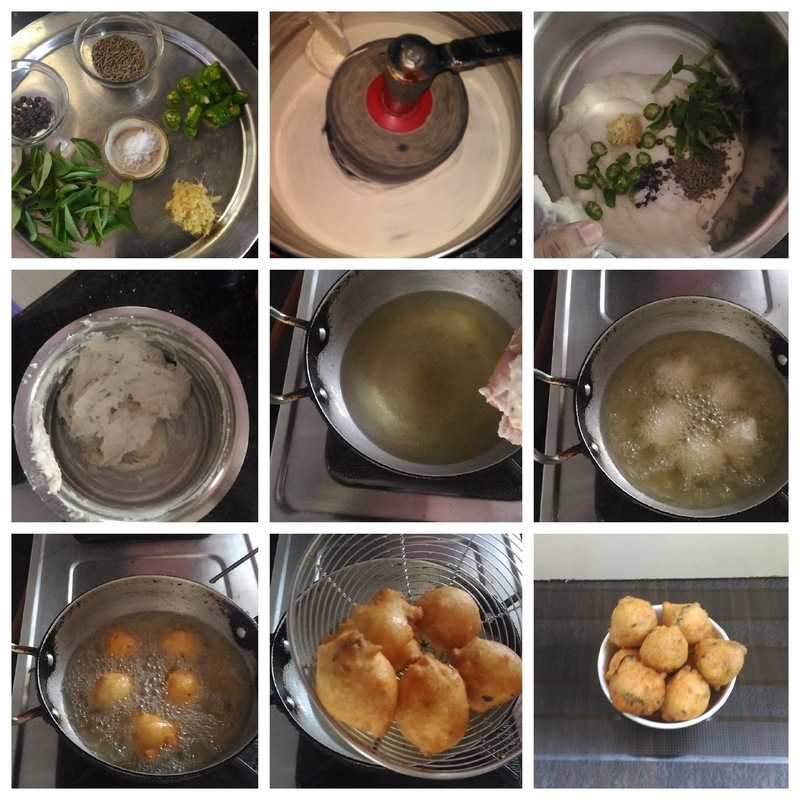 Urad Dal bonda / Mysore bonda is ready to serve with coconut chutney. 1. If the batter is not thick, add little bit rice flour. 2. You should not add water while grinding. Because the batter will get diluted. 3. Don't overload the oil with more bondas.